Born on the 28th of September, 1954, in Memphis, Tennessee, Paul Tudor Jones II is the founder and owner of the Tudor Investment Corporation. The management of his other private investment partnerships is done through his own corporation, which you can refer to as hedge funds. Tudor Jones had an estimated net value of $3.2 billion in 2010 and as of now, it stands at $4.3 billion. He studied and attained an undergraduate degree in economics from the University of Virginia in 1976 and was also a welterweight boxing champ. He began working on the trading floors in 1976 as a clerk and gradually became a broker for the famous firm E.F. Hutton four years after. In 1980, he was adamant on earning on his own and made a lot of profitable deals for almost two and half years before he started to get particularly ‘bored’ with his work. After realizing that he has to do something else, he then successfully applied to the Harvard Business School, and to the surprise of many did not join because he realized the skill set he really wanted to capitalize on wasn’t going to be taught to him by anyone and decided to take another approach. He went to William Dunavant Jr. for career advice. Dunavant, who is the founder of one of the globe’s foremost and biggest cotton merchant company, sent him to meet another commodities broker by the name of Eli Tullis, who was in New Orleans. It was Tullis who took him in and began to mentor him, showing him the ropes of cotton trades and painted the future of the cotton industry on the New York Stock Exchange. In 1980, Jones proceeded towards establishing his own company, the Tudor Investment Corporation, which is regarded as today’s foremost organization in asset management companies and has its headquarters in Greenwich, Connecticut. The corporation consists of affiliations tied to leading active trading, investing and research in global equity, venture capitalism, currency, debt, and the commodities markets. Jones became really popular following the events of Black Monday in 1987, when he accurately predicted the markets, earning massive profits due to large short trade positions. He, along with his colleague and friend, Hunt Taylor went on to successfully create FINEX, the financial futures’ section of the New Board of Trade and were also instrumental in the making of US dollar index futures contracts. 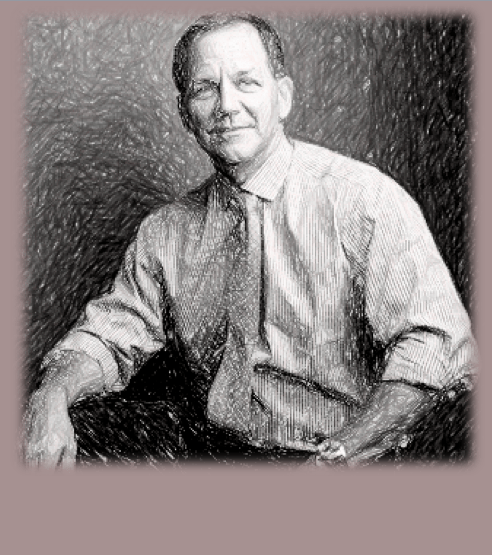 Paul Tudor Jones also went on to becoming the Chairman of the New York Cotton Exchange from 1992 to 1995. Paul Tudor Jones is a contrarian investor. He keeps going for single trades until an idea essentially changes his mind. Most of the times he works on keeping his position in the markets cut down. Then he attempts to trade in small amounts when he has trouble hauling in good trades. Jones also considers himself as the best when it comes to identifying and taking advantage of market opportunities. When he thinks up of a brilliant idea, he initiates the pursuit of its implementation from a low risk perspective until he is deemed and proved wrong or at least till another idea befalls him. He is also a swing trader and believes that considerable money can be made at different market turns. Although he has missed quite a bit of meat all around the middle, he always managed to catch a good share of tops and bottoms. He is by the far the calmest investor and trader of all and is always relaxed, thinks coolly and always exits the market swiftly whenever his losing position in the market starts to get to him. Jones has the habit to decrease his trading mass when he sees he might lose and increases it as his trades get successful. Plus, he also tracks his whole portfolio equity in real-time and believes that prices always move first, the fundamentals should always be a secondary concern. He always looks at the bigger picture and does not even think about the losses he incurred moments ago. Jones also emphasizes deeply on not involving your ego in the game. He says that a good trader always questions his ability and form at every turn, always yearning to improve. If you think you are better than the rest, you will fail. Paul Tudor Jones has also made sizeable donations to the University of Virginia, his Alma mater, and has contributed $35 million for the development of a brand new basketball arena which he named after his father, John Paul Jones. Married to a former Australian model Sonia since 1988, Jones and his wife have four children together.